The Greater Huntington Symphonic Band will present a free Memorial Day, concert Sunday, May 27 at 5 p.m. at the Riffe Center on the Ohio University Southern campus in Ironton (1804 Liberty Ave. Ironton, OH 45638.) Admission to concert is free. The concert has been moved inside to the lovely air-conditioned Riffe Center. Plenty of free parking is available. 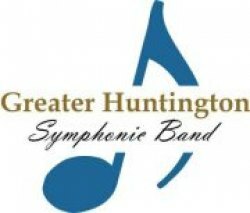 “The Greater Huntington Symphonic Band, under the direction of Tommy Thompson, is a musical group comprised of local community musicians. The Band performs a variety of marches, show tunes, and classics at local concerts throughout the year. 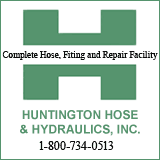 A few of their recent concert venues include the Renaissance Center in Huntington, Barboursville Park and the Riffe Center at Ohio University Southern Campus. The 65 current local community members of the band represent all walks of life - from teens to retirees. Musical skill levels vary from those who have been playing their whole life to those who haven’t picked up an instrument since high school. The band draws its members from Huntington, Ashland, Ironton, Charleston, Russell-Flatwoods and Catlettsburg. The non-profit organization is funded by donations from members and the community to purchase music. Membership is open to anyone with basic music reading and musicianship skill who wants to join the fun! Auditions are not required, but new members are asked to clear any spiders from their instruments outside of the band room! While all instruments can join, the band is actively recruiting Clarinets, Trombones, Tubas, and Percussion. Rehearsals are held every Thursday evening from 7 p.m. to 8:30 p.m. at the Vinson Middle School located at 3851 Piedmont Road Huntington, WV 25704. Parking is available in the small side parking lot as well as the bus loading curve in front of the school and the side streets surrounding the school.” After the concert, the band will not resume practices until on June 21. Membership is open to anyone with basic music reading and musicianship skill who wants to join the fun! Auditions are not required, but new members are asked to clear any spiders from their instruments outside of the band room! While all instruments can join, the band is actively recruiting Clarinets, Trombones and Percussion. Rehearsals are held every Thursday evening from 7 p.m. to 8:30 p.m. at the Vinson Middle School located at 3851 Piedmont Road Huntington, WV 25704.The 65 current local community members of the band represent all walks of life - from teens to retirees. Musical skill levels vary from those who have been playing their whole life to those who haven’t picked up an instrument since high school. The band draws its members from Huntington, Ashland, Ironton, Charleston, Russell-Flatwoods and Catlettsburg. Rehearsals are held every Thursday evening from 7 p.m. to 8:30 p.m. at the Vinson Middle School located at 3851 Piedmont Road Huntington, WV 25704.